If you’re searching for an all around excellent packaging solution, then look no further than the Posh USB Box! It lives up to its elevated name with its excellent features and good looks that make it one of our most popular USB packaging options for photographers. Store both 5"x7"photographs and a USB drive (not included) to provide your client a complete experience. The Posh is an excellent bulk packaging solution for photographers because it holds both photographs and a USB drive (not included), plus an excellent viewing window that’s perfect for your client’s favorite or best photograph to set the mood. 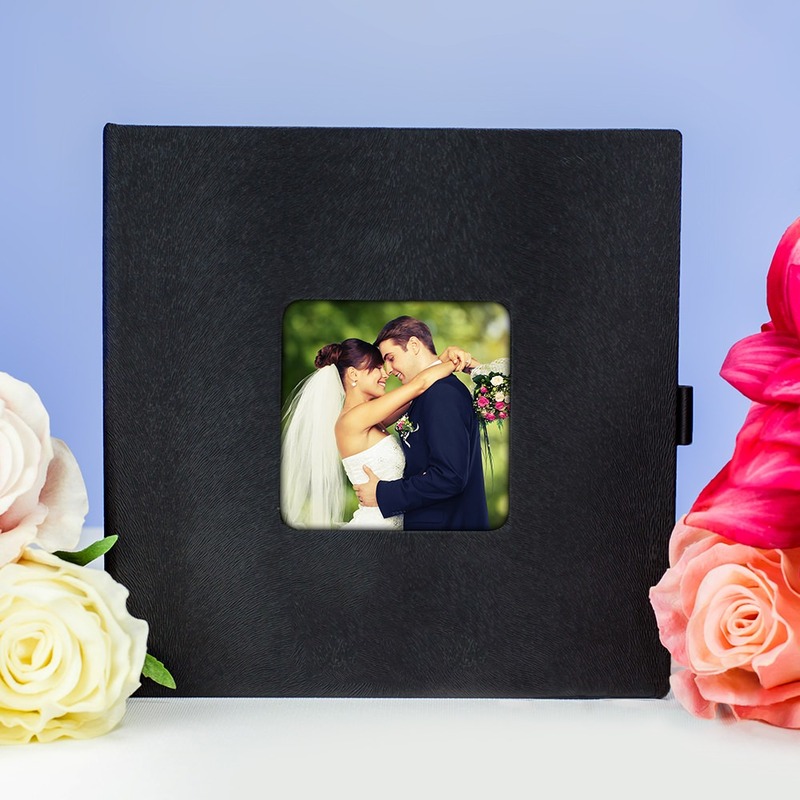 Store up to 150 5"x7" photographs and one USB drive in their own separate compartment. The photographs are held fast with a matching black ribbon and a black elastic band holds the drive securely in place. 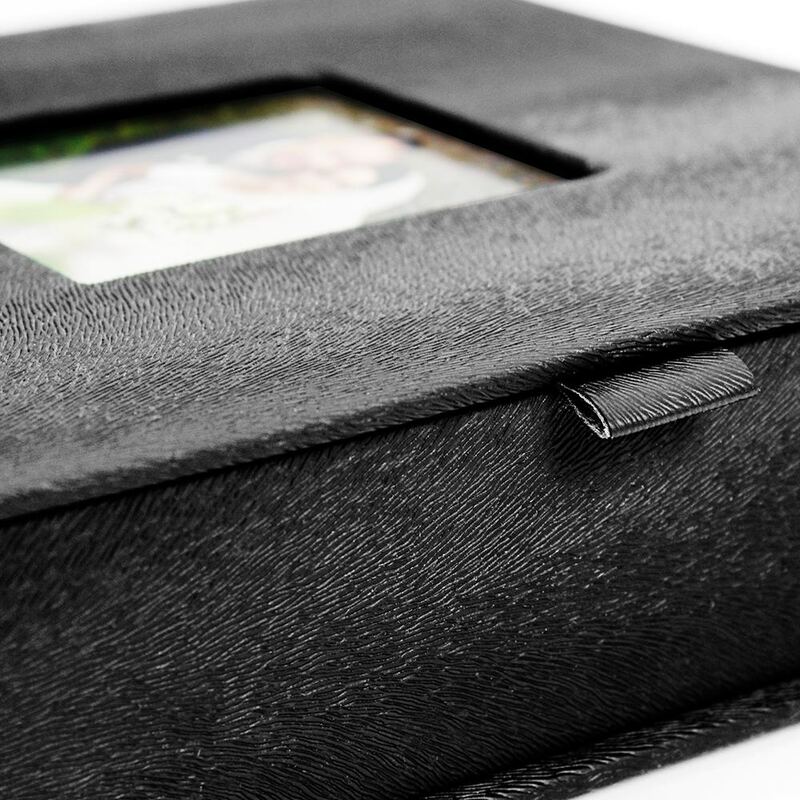 The black, textured PU leather and size of this photo box makes it an excellent display item for bookshelves or coffee tables, letting your clients relive their precious moments again and again. The Posh not only looks and performs well, it fits into most budgets with its affordable good looks.